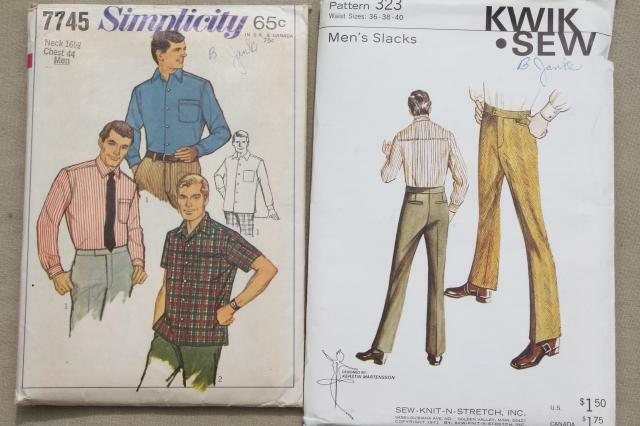 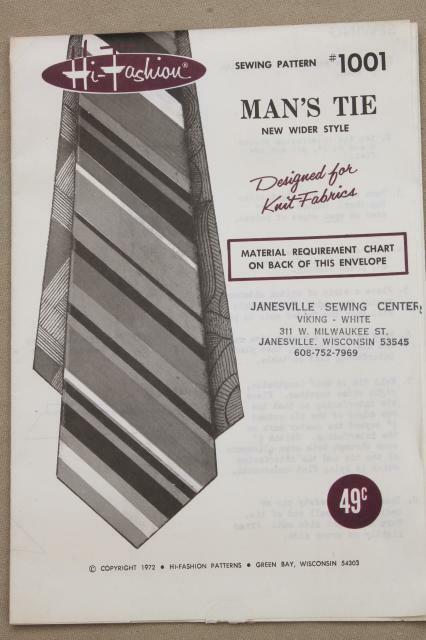 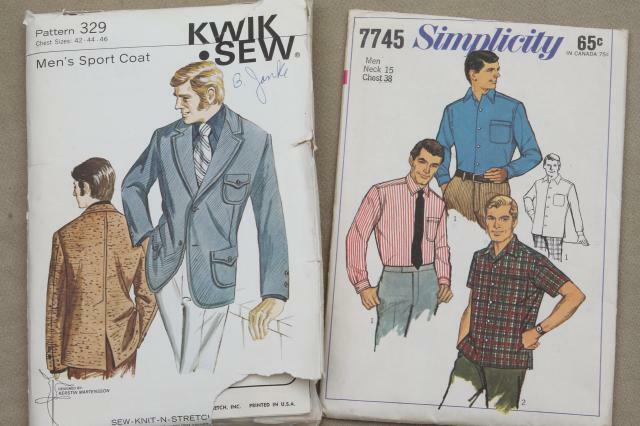 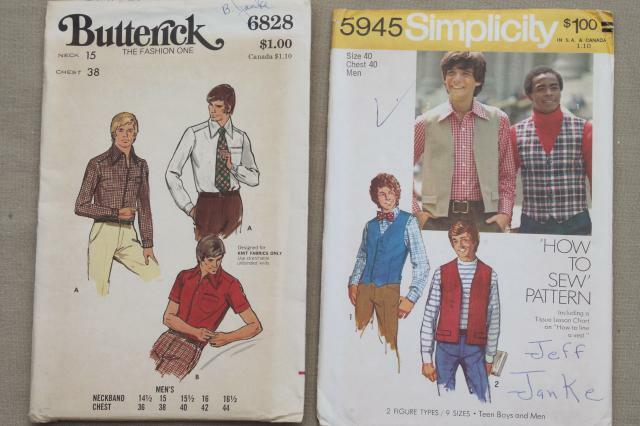 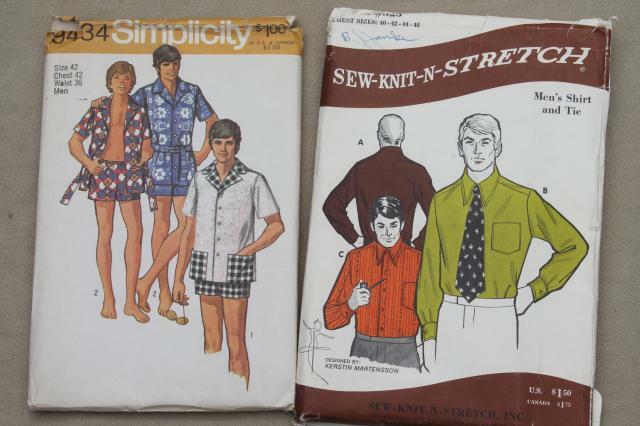 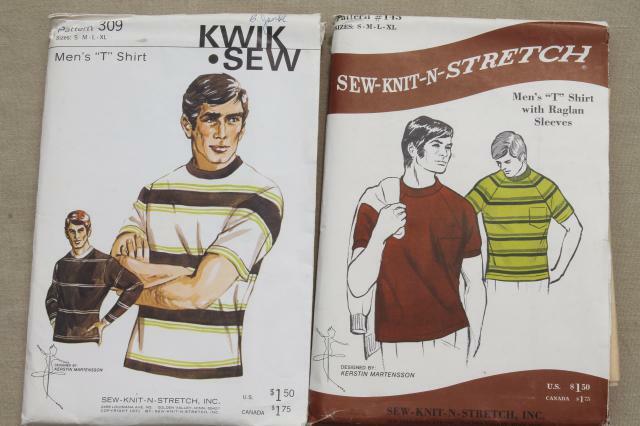 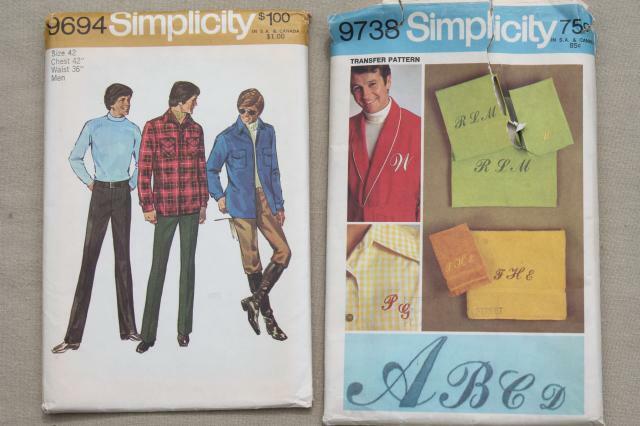 Lot of 70s vintage sewing patterns for mens clothes, some really retro styles here! 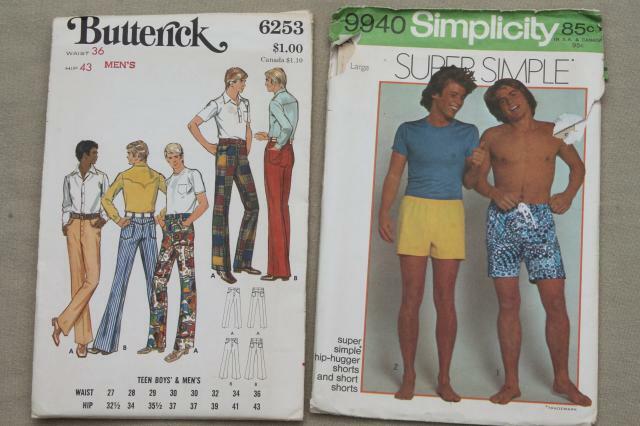 Sizes are mixed. 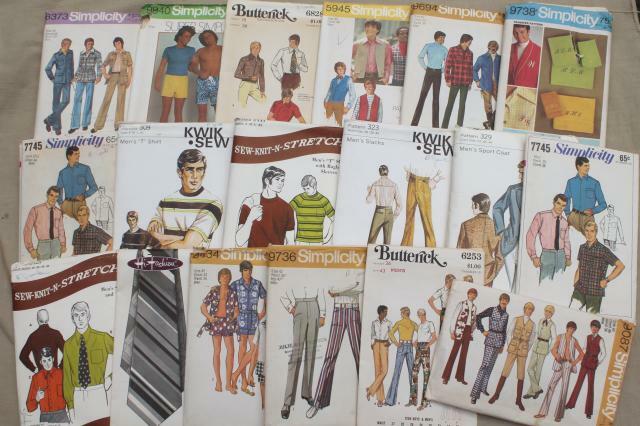 Some of these have been used, and many of the envelopes show some wear. 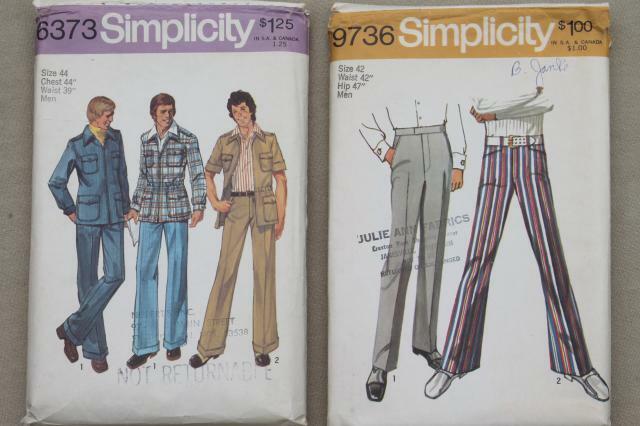 But these are all complete, I think. 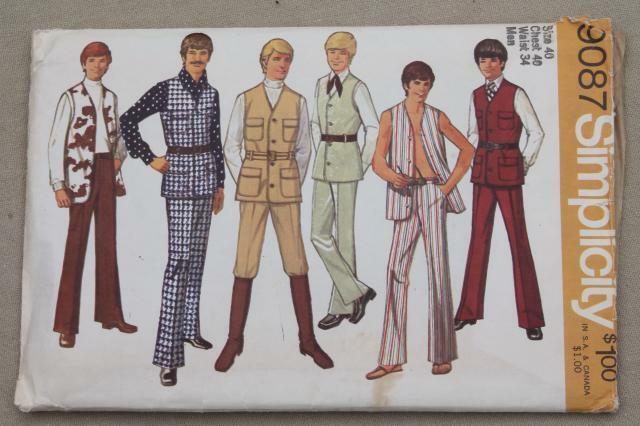 There's 18 patterns in all, the whole lot shown in the first photo.